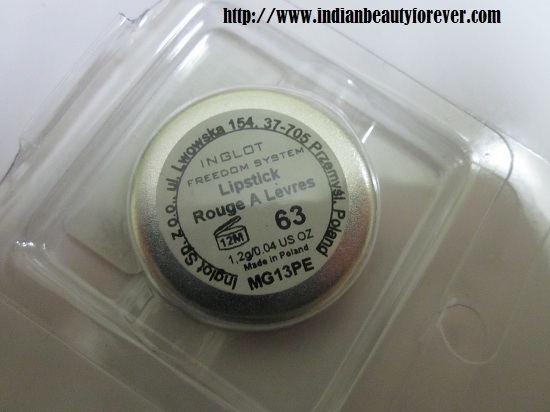 No, I was here only but I am back with another Inglot Freedom System Lipstick refill and this shade that I will be sharing is no 63. No need to repeat time and again, by now you might be knowing how much I love them. 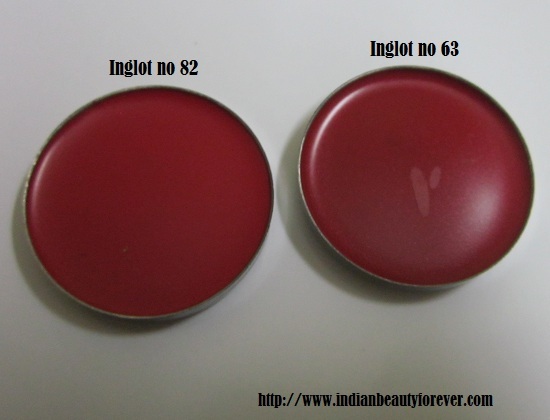 Keep on reading to know more about this perfectly beautiful and ravishing color. Ingredients- I could not find them on the packaging. Experience- These are lipstick refills so they are in pans. You can apply them with finger or a lipstick brush. 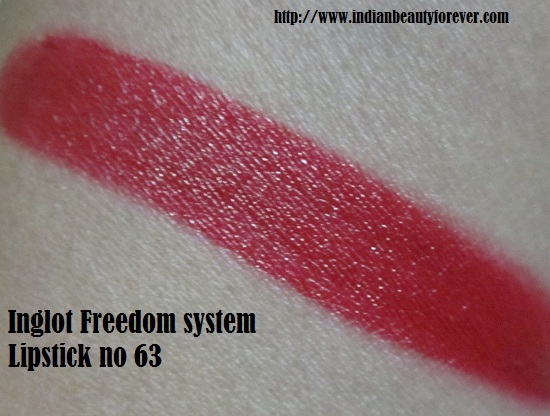 Texture is great with awesome pigmentation. No doubt about it ! but it is a red color so more prone to bleeding. Do make sure to use a lip liner. Staying power is decent enough and it does hydrates my lips as they are creamy matte. 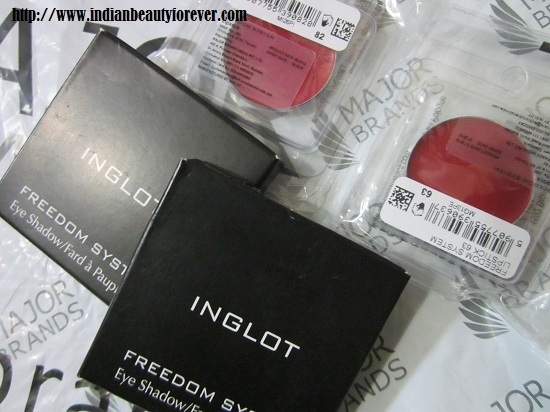 I am not writing much here since most of the features of these Inglot lipsticks are pretty similar and writing them again feels monotonous. That is good that they do not have quality inconsistencies within the same range. 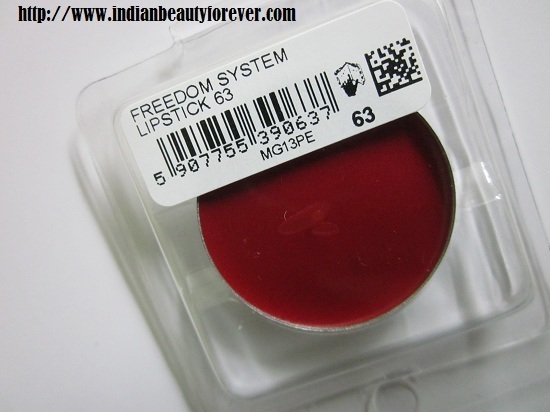 If the color is concerned then it is also similar to that of Freedom System Lipstick refill no 82 which was the last Inglot lipstick I reviewed.. if I am correct. Please do check the pictures below to judge and check yourself and let me know too, if I am not able to gauge the difference. In terms of the texture, formula, staying power and pigmentation it is great however I checked the pack again but could not find the ingredients list. 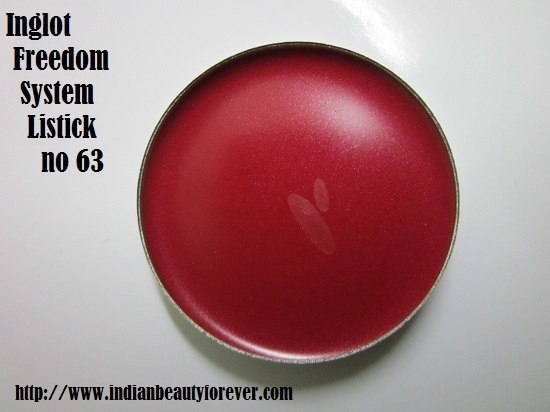 It was a swatch review hence I focused more on swatching the color for you! They are amazing shades, but i love nudes. i got 2 of these and absolutely love them. thanks for the great review. Absolutely dear.. they are bold and bright..i love exploring bright shades but nudes are not much my types but they look great. True Raaga, I just saw the review on 37 and 73 at your blog. try it Tanmayee.. you will love them!! beautiful shade....i wish i could have one. Absolutely!! you can buy them at the majorbrands.in. i just love their freedom system.. this one looks so gorgeous. Even i love their Freedom system range .. It's superb quality for the price. Gorgeous red it is. I always wonder how easy/difficult it is to store these pans since I don't see any lids too. Is that plastic packing like a plastic box? They do not have a lid but the small case that they comes in works fine to protect them, though i never carry them in my purse..
Nice review, how are their lip liners? I need to buy some lip liners any recommendation ? I haven't tried their lip liners. You can try Faces canada one they are really good.